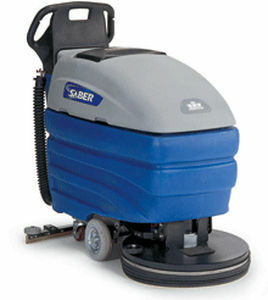 Looking to rent the best walk-behind 20” electric floor scrubber in Rochester, Ithaca and Upstate NY? The Duke Company rents the exceptional Windsor Karcher Group Saber Compact 20. Available with brush / pad assist drive and traction drive. Precision squeegee leave the floor surface safe and dry.